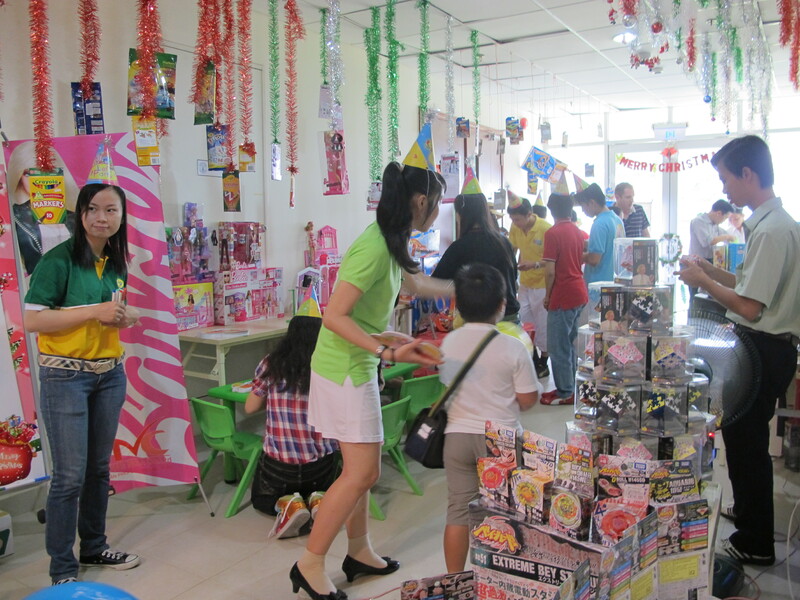 SSIS PTA Charity Bazaar 2011 | Hello Saigon! 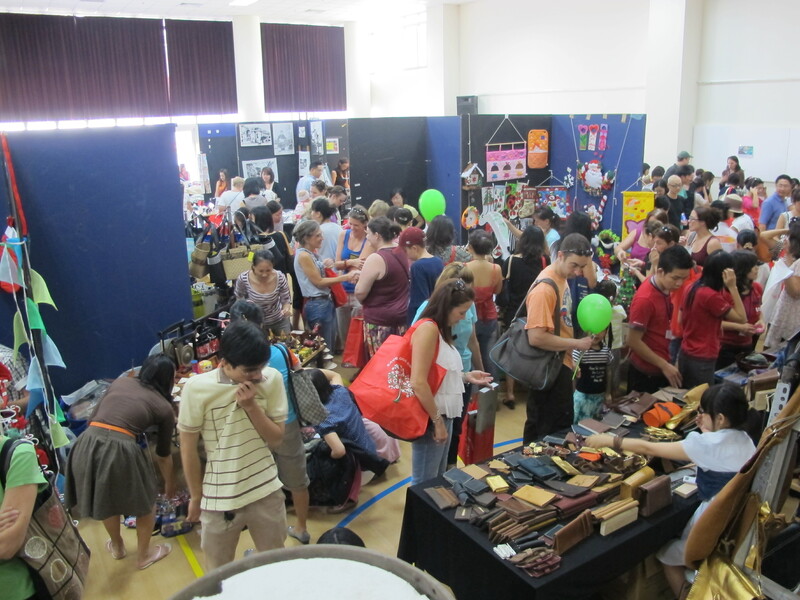 and the auditorium and covered area were filled with vendors! I got a couple of hand-painted bags from tore (I think!) and a bayong from Bayong ni Kikay. 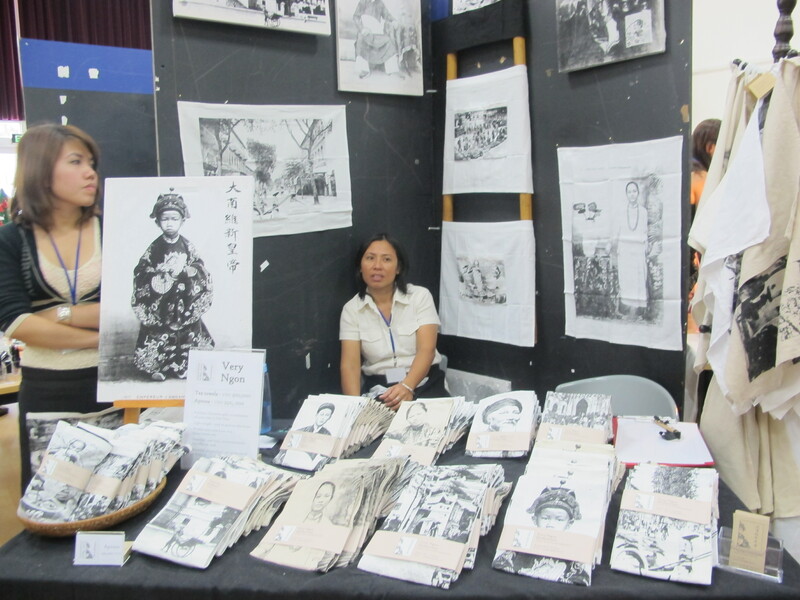 The Very Ngon Homewares booth caught my eye with their Asian-inspired hand prints products such as aprons, napkins, and kitchen linens. Very unique! Mekong Creations, Vietnam Quilts, Blue Dragon Children’s Foundation, Saigon Children’s Charity (more on this! ), and Wildlife at Risk (WAR) were among the participants. I scored some nice arts and crafts stuff for my son’s Advent Calendar I’m working on too! Overall, I believe the bazaar was a success! I wish they do something like this monthly! 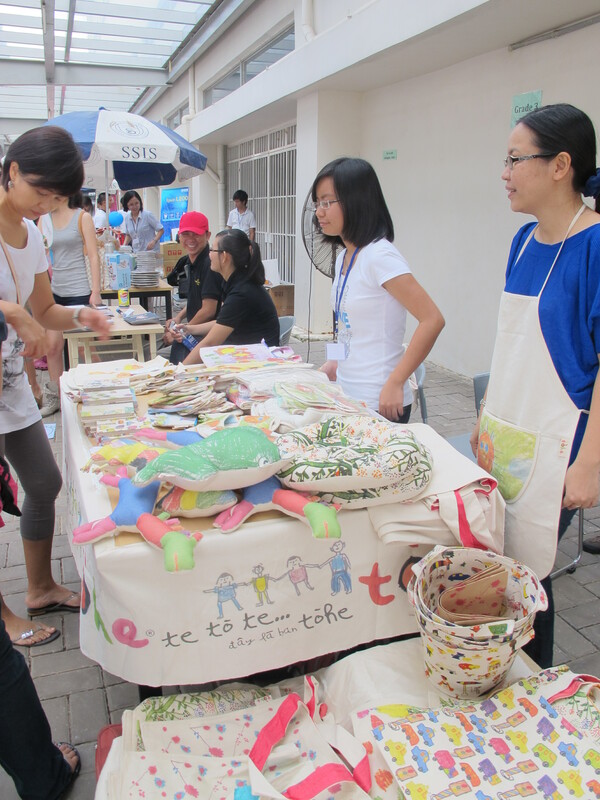 This entry was posted in Event and tagged SSIS, SSIS PTA Charity Bazaar 2011. Bookmark the permalink. No they don’t have a store eh. Sa Hanoi pa. Kainis nga eh. They have bedroom slippers too. Ang cute! Thanks for your wonderfully positive article! It was our biggest event, ever! We had record sales and attendance! 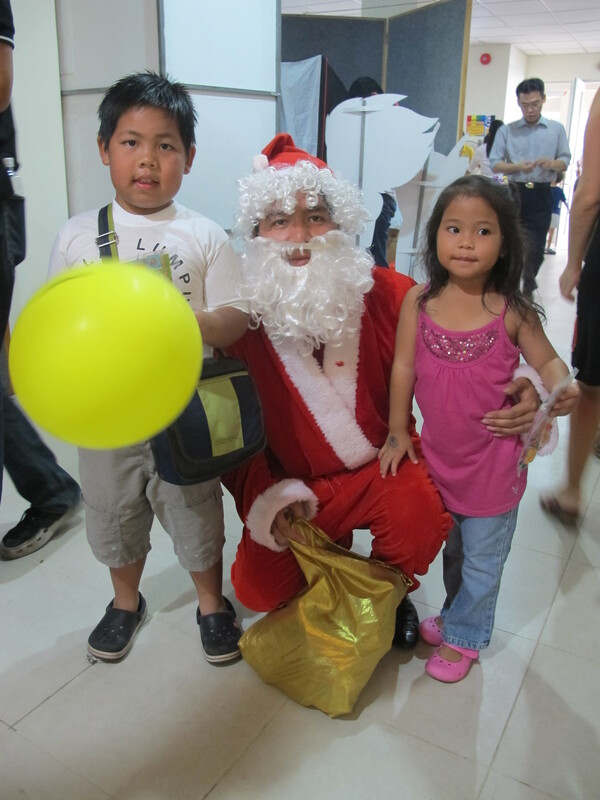 We had so many of our community involved and it was just a wonderful day! Glad Joy and Josephine did well, will catch them at the Flea Market as I had no time to shop myself. They are two of our many favorite moms at SSIS. 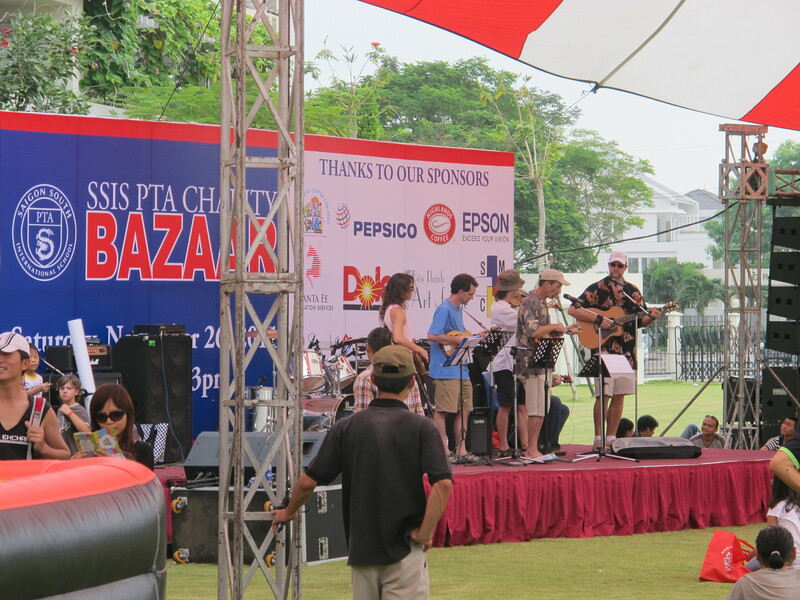 ~Tina Haugbro, SSIS PTA President and Chairwoman of this year’s bazaar.